There’s never been a more exciting time to be a traveller. If the past 10 years are any indication of what’s to come in the world of travel, this I can say: It’s just going to get more and more competitive. Consumers now have a plethora of airline (and within that a myriad of fare types) options- both budget and full-cost carrier alike. Airline alliances are more connected than ever. And while airfares can get competitive, I don’t bank my happiness too much on that. There’s only so much that airfare pricing can dip for a sale, and it’s just fair and safe to say that as the years roll by and cost of living (fuel) rise, so will airfares in general. What I’m most thrilled about at this age is how airlines compete in terms of product and quality. Major airlines now spruce up a lot of their products in order for consumers to get more value out of its price. 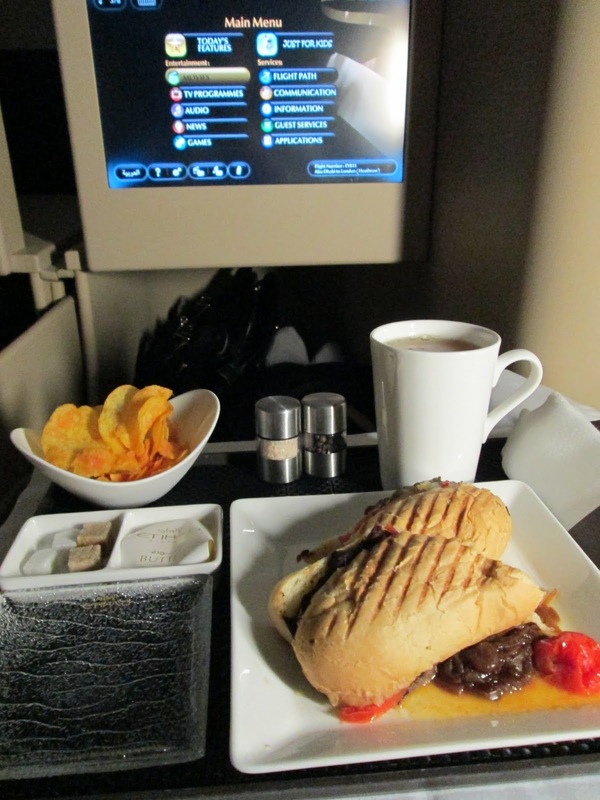 And one of the major selling points of a premium airline is its airport lounge. Case in point:The weary and exhausted traveller heading back home to Sydney from Paris (aka yours truly). 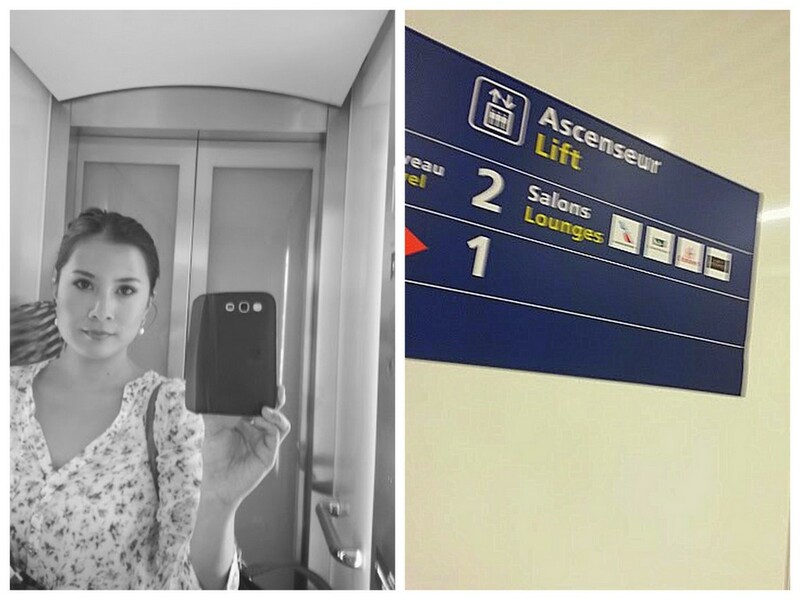 And as much as I loved Paris, mon dieu–Charles de Gaulle was not an exciting experience for me. Especially on our flight back, we got off the wrong terminal (our bad, oui!) but to get from one terminal to another was just purely exhausting. 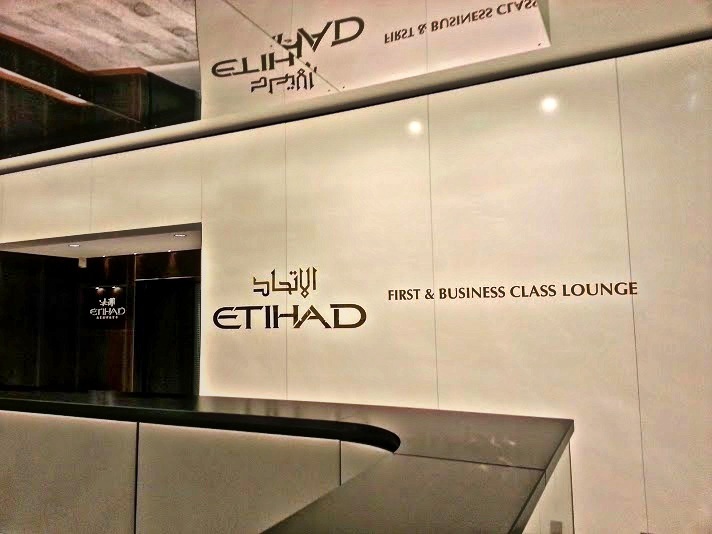 And it was therefore such awesome relief to see that sign (above right), to head up one floor to get to Etihad’s business class lounge. The lift doors open up to this minimalist with a touch of “space odyssey” type of greeting. And you immediately know you are in the world of Etihad upon entering. Rich dark mahogany, touches of black and gold, dates and tea, and a distinct musky aroma. 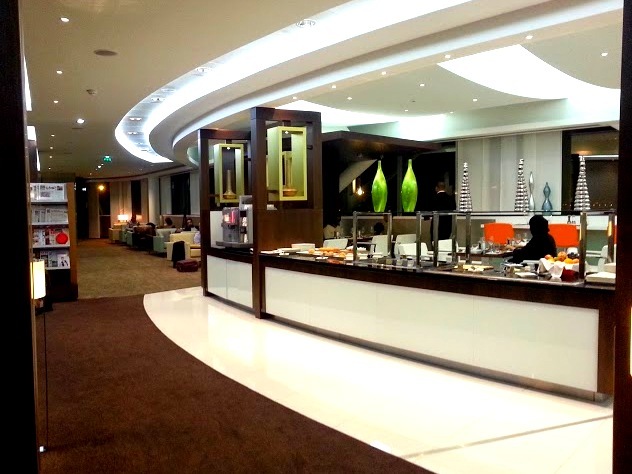 The lounge, which unveilled early last year in Charles de Gaulle’s Terminal 2 cost around US 8 Million. 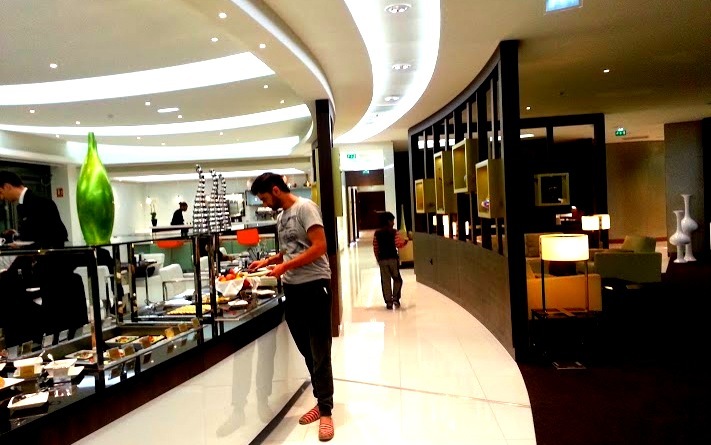 Modelled after it’s flagship first and business class lounge in Abu Dhabi, it offers buffet and ala carte menu, as well as business centres , complimentary wi-fi, shower and prayer rooms, and lots of relaxing area. What it does not have though (which I’ve blissfully experienced in the London Heathrow and Abu Dhabi Lounges), is the presence of a Six Senses Spa that pampers passengers with complimentary treatments and massage before a flight. The food was served very quickly, and I had the yummiest Chicken Korma with chickpeas to date (including actual restaurant choices). Zombie’s shrimp gambas were also irresistable. Service was warm and friendly, but very efficient and quick , as all their guests have a plane to catch. They also offer a personalised and gentle reminder to passengers whose flights are about to board. Highly impressive. Our only gripe (to ourselves mostly), is wishing that we arrived earlier to savour the lounge experience more. And my travel prediction for the year 2014? Airlines will spend more time and effort in its “Ground War” with their competitors. They know the importance of being relaxed before a flight (what with most airports and security these days stressing the living daylights out of passengers) as it pre-empts your travel experience with them. 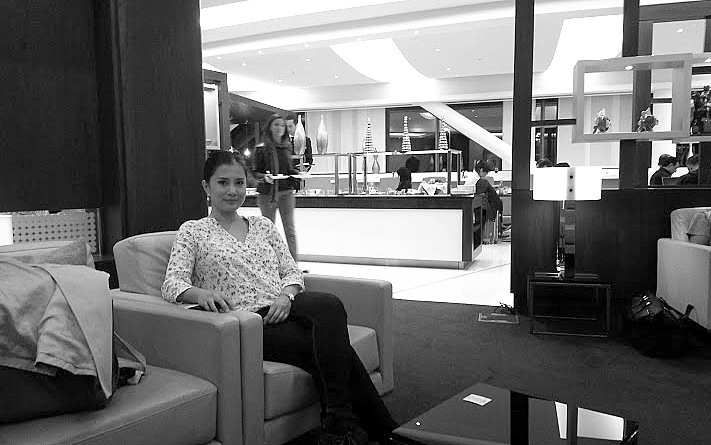 Are Airport lounges important to you? What’s your favourite lounge so far? Interesting Jean. We experienced the Etihad business class lounge in Amman, which was lovely, and in Abu Dhabi, which, surprisingly, was awful. Overcrowded and super hot (when it was not even hot outside). The ground staff while boarding was also awful and disorganized. 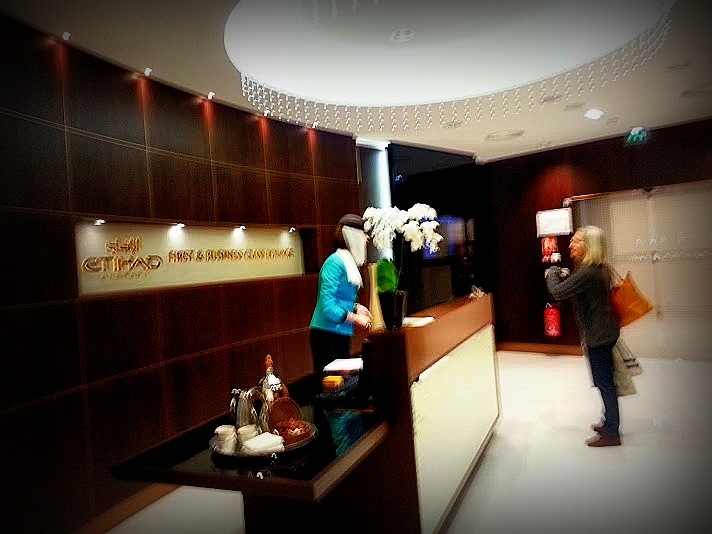 Hi Amber, I’d love to see Etihad’s business class lounge in Amman! You know I agree with the Abu Dhabi lounge. during the day (or any peak hour during flights) it can get horrendously crowded. I experienced that on my morning flight from AUH – NYC however come midnight to early morning (less flights), it’s a completely different world! so relaxing and peaceful. 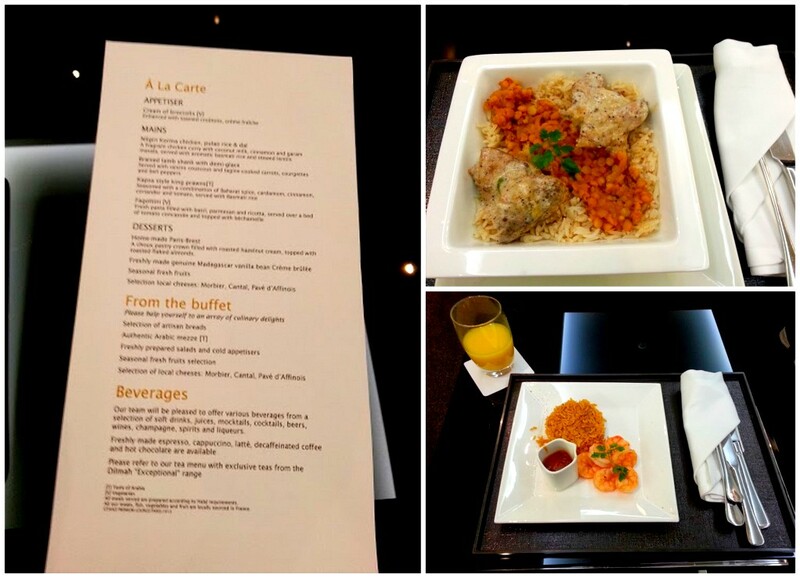 It’s interesting you mention about the codeshared flight you had with Etihad and Jet Airways, because my next flight review post will be about what we took after this lounge experience, which is an Etihad and Air France codeshared flight with similar concept to the flight you went on. The thing is Etihad keeps growing their network with airline alliances, and to be frank most of the airlines they partner up with are not the same level of product and service as them. I will await your blog post about it!